Due to the nature of hospitals and other health care premises, and the subsequent increased risk of infection of the occupants, it is extremely important that the risk of legionella is suitably controlled and monitored. Aqua Legion support many NHS Trust’s throughout the London and Greater London areas by offering Specialist Independent Legionella Risk Assessment and monitoring services. With detailed experience of NHS premises, we are equipped to offer the correct control measures that can be integrated into the day to day operation of the Hospital, Surgery or Health Care Centre. Aqua Legion currently support targeted sampling programmes to the NHS to cover the risk of legionella and other microbial infections such as Pseudomonas in high risk augmented treatment areas where the risk of infection is significantly increased. 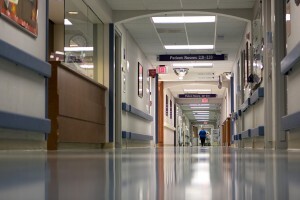 The effects and benefits of PFI hospitals has raised much debate over the past few years. From our experience, the management of legionella in PFI hospitals has been tied into the PFI maintenance contract which can sometimes run for 30 years plus. Consequently, the PFI company is normally responsible for the maintenance, management, control and monitoring of legionella. However, the controls put in place are rarely checked by an Independent Specialist working in the interest of the NHS Trust who also have a legal duty to ensure the risk of legionella is adequately managed. Over the past 10 years Aqua Legion have delivered Independent Reviews, Independent Auditing, Risk Assessments and Monitoring to various NHS Trusts to ensure the controls put in place by the PFI contractor are adequate and also cover the NHS Trust directly as required. Are you an NHS Trust responsible persons? Have you ever inspected or reviewed the legionella management records to cover the water services you are responsible for in detail? As the responsible persons, it is your duty to conduct a review of the records at least annually. Aqua Legion UK Ltd offer one off and routine auditing services to cover the NHS Responsible Person directly. If you require independent inspections, sampling or risk assessment services that cover the NHS Responsible Persons directly you have come to the right place. Please do not hesitate to contact us. So whats special about the NHS when we are managing water systems system in such premises? Well, firstly the NHS have their own legionella management guidance document. This document has slightly more emphasis on the testing regime required but essentially it was written in a way that means if implemented you will automatically comply with the HSE’s ACOP L8 document and subsequently if you comply with the HSE’s ACOP L8, you will be largely complying with the HTM 04-01 guidance document. About the Health Technical Memorandum – The Engineering Health Technical Memorandum (HTMs) give comprehensive advice and guidance on the design, installation and operation of specialised building and engineering technology used in the delivery of health care premises. The focus of HTM guidance remains on health care specific elements of standards, policies and up-to-date established best practice. They are applicable to new and existing sites, and are for use at various stages during the whole building life cycle. Health care providers have a duty of care to ensure that appropriate engineering governance arrangements are in place and are managed effectively. The Engineering Health Technical Memorandum series provides best practice engineering standards and policy to enable management of this duty of care. Health Technical Memorandum guidance is the main source of specific health care related guidance for Estates and Facilities professionals. Health Technical Memorandum 04-01, gives specific guidance on the management of water services in health care premises. Health Technical Memorandum 2027 – ‘Hot and cold water supply, storage and mains services’ and Health. Technical Memorandum 2040 – ‘The control of Legionella in health care premises: a code of practice’ have both been revised, and have, at the same time, been combined into a single document: Health Technical Memorandum 04-01 – ‘The control of Legionella, hygiene, “safe” hot water, cold water and drinking water systems’. Provide information on thermostatic mixing valve configurations, usage and maintenance requirements. Outline how quality and hygiene of water supplies can preserve system components and safe use by occupants. Provide a point of reference to legislation, standards and other guidance pertaining to water systems and to provide a basic overview of possible bacterial contaminants. Outline key criteria and system arrangements to help stop bacteria proliferation. Give an overview of some of the different water systems components and their safe installation and operation. Provide typical system layouts and individual component locations. Illustrate the importance of “safe” delivery of hot water. 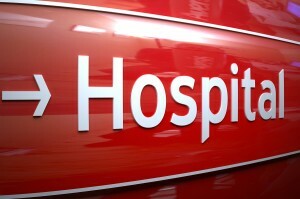 Illustrate temperature regimes for sanitary outlets used in health care premises to reduce risk of occupant injury. Identify key commissioning, testing and maintenance requirements for referral by designers, installers, operators and management. We have supported many NHS Trusts and PCTs to establish a suitable water management programme and implement suitable controls and monitoring programmes that comply to HTM, ACOP L8 and other sector specific documentation. Being able to provide sampling for legionella, TVCC, Pseudomonas and HTM 2030 and 2031 we are ready to support any PCT or Trust that requires the support. If you would like Aqua Legion UK to provide an objective review of the water services in your Health Care premises or Care Home etc please contact us today. we can provide an objective review of the water services in your Health Care premises or Care Home. Please contact us today.